Creative writing is the act of composing a piece of work, a poem, a play, a short story, or a novel, that actively employs the imagination. Creative writing falls outside the more academic forms of writing, such as journalism or research articles, but is also taught on the university level. A class in creative writing will teach the various techniques that employ narrative structure or poetic form. It can be argued that man’s earliest surviving forms of writing are stories. The ancient Sumerian poem The Epic of Gilgamesh, is an example of creative writing. With its form and narrative structure, this oldest of human stories continues to serve as a framework through which creative writing can be understood. Walking into any library or bookstore, and a significant amount of shelf space is devoted to fiction and poetry, demonstrating the power and popularity of creative writing. Creative writing appears to be deceptively easy. Since there is no research involved, one can, in effect, simply sit down and begin the writing process. However, mastery of narrative structure and command of language is a skill that requires training and practice. 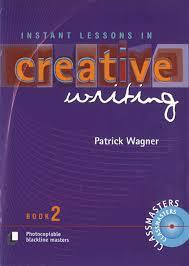 A creative writing course may help provide the discipline required for successful creative writing. Of course, anyone can engage in creative writing for their own pleasure. Gilgamesh and the Heroic Journey - Gilgamesh and the Heroic Journey research papers illustrate the hero myth in the Epic of Gilgamesh. Gilgamesh and Genesis - The epic of Gilgamesh and Genesis of the Bible can be examined through research papers that compare and contrast the two similar themes. Archetypes in Literature - The Epic of Gilgamesh, written in ancient Babylon, is one of the first examples of the hero archetype. Myth in Gilgamesh - Myth in Gilgamesh research papers examine the role of the mythical in the epic tale. Gilgamesh and Religion - Gilgamesh and Religion research papers explain how the tale of Gilgamesh is an epic heroes journey. The Song of Roland - Song of Solomon research papers are custom written at Paper Masters and discuss two of the characters in Song of Solomon. Epic Poetry - Epic poetry often deals with heroic subjects, and many are considered to be the cultural heart of some nations. Paper Masters writes custom research papers on creative writing look into the act of composing a piece of literary work, poem, play, short story, or novel, that actively employs the imagination.